The ElectroSpark range of Original Equipment Fit ignition lead sets contains over 875 references, making it the most comprehensive range of OE fit sets available. All terminals are machine crimped to ensure strong and reliable connections. All spark plug boots and terminal covers are moulded from silicone to give a water tight seal. The product is extensively tested. These tests include "pull off" tests, both hot and cold, to check that all terminals and connections are satisfactory and a hi-voltage saline solution immersion test to check for current seepage. 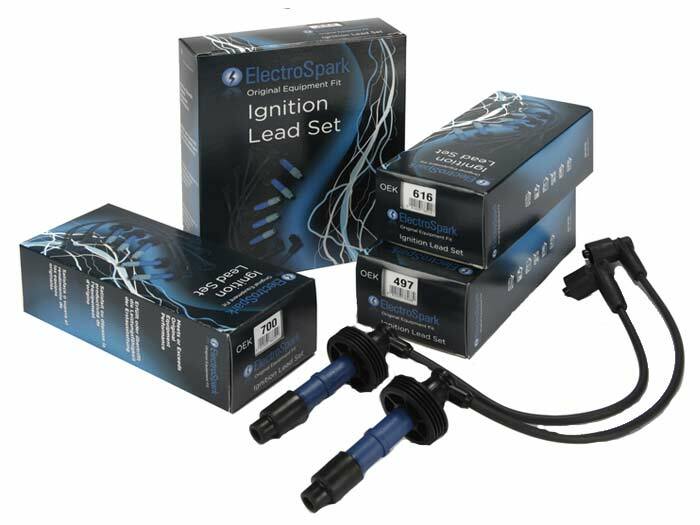 Supported by a comprehensive catalogue and technical helpline the ElectroSpark range of ignition lead sets continues to lead the market today! Electrospark.......Great quality ignition leads with exceptional service.